We still offer cassette tape transcription for both standard sized tapes and micro-cassette tapes. Many companies are only offering digital transcription now, but there are many instances where cassette tapes still need to be transcribed. Perhaps you have a backlog of old oral history recordings or some other type of audio recordings on tape that you want to have transcribed. Some people just prefer to work with cassette tapes because they are worried about the trustworthiness of digital. Some individuals only have a regular tape recorder and do not want to invest any money into a new digital recorder. We respect these feelings and that is why we offer this service in addition to our regular digital transcription services. You can mail us your tapes and we will actually create a digital copy from which to work. This protects your original tapes from the wear and tear of transcribing them and it also gives you a nice, digital back-up of your recordings. It is easiest for us to have a digital copy to put into our digital transcribing machines, using our state-of-the-art foot pedals for smooth and quiet transcribing. Our rates for transcribing from tapes is a little more than our regular transcription services prices since we need to create a digital copy from which to work. The rates right now are $2.50 per audio minute. We can even provide these digital audio files to you upon completion of your project if you would like so you will have that additional back-up copy. They are usually MP3 or WMA file types. Please let us know if you would like digital copies and we will send them to you electronically. If you would like to mail us your cassette tapes, please mail them to one of the following addresses. For Fed Ex, UPS or any service that requires a physical address, please mail to: Pioneer Transcription Services, 17345 Pioneer Way, Rough and Ready, CA 95975.
to let us know you are mailing them. We will then e-mail you confirmation when they arrive. Transcripts are delivered via e-mail or electronically in Microsoft Word format. We have an A plus rating with the Better Business Bureau, so you know you can trust us to provide the reliable transcription services you are looking for. 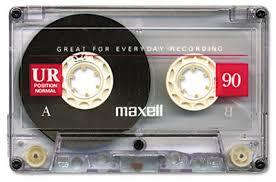 Return from Cassette Tape Transcription to Types of Transcription Services.